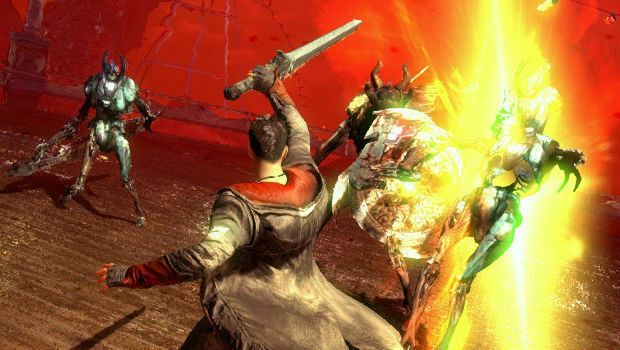 Capcom and Ninja Theory have recently provided a free add-on to DmC: Devil May Cry called the Bloody Palace, to help extend your replay value a bit. For those of you who have never played a Devil May Cry game before, the Bloody Palace is an arena-like survival mode, where you face multiple levels of foes until you reach a set final end floor, and fight a final boss. It's basically the Dark Realm from Onimusha franchise, and it's been in every game except for the first Devil May Cry. The Bloody Palace isn't part of the recent title update: it's free DLC that you need to download manually. If you can't find it on the marketplace, here's the link for the 360 version, and the link for the Steam version. You'll also find that the Samurai Pack (pre-order DLC), Golden Pack, and Bone Pack have gone live for $1 each (80 MSP per pack, or a "buy two get one free" bundle for 160 MSP), which grant you new weapon skins, and a few extra items -- specifically, the item finder, orb harvester, and three extra upgrade points. These items are essentially cheat codes. The Orb Harvester grants you 20% more Red Orbs from enemies and objects, and the Item Finder beeps when you're near a key or a lost soul. Thankfully, you can turn these off if you want. Ok, enough talk about ancillary add-ons, how's Bloody Palace? Fans of the franchise will recognize the floor by floor flow instantly, but the way it appears changes from game to game, ranging from 100-9999 levels. In this instance, it's 100 floors, and you need to beat the game to unlock it. Every 20 floors or so, you'll fight a boss from the core game, the locale will cycle to something new, and the difficulty will increase. Occasionally, hazards will appear, like fire on the ground or the deadly spinning carousel from the first stage of the game. Things don't really get difficult until level 50 or so, which I was able to coast to on my first try. By then, you're battling with attrition, as your health starts to slowly drop as enemies do more damage. As is the case in Devil May Cry 4, the controversial timer is back. It's exactly how it sounds -- there's a timer running down that can be replenished with killing enemies, and if it runs out, you close. It's not a huge deal for me, but needlessly to say it doesn't measure combat skill in any way, and is a trivial addition. Despite basically being exactly what was advertised, there are a few missed opportunities. For one, there's no new achievements, trophies, or anything of note to unlock by beating it -- those are coming later with Vergil's Downfall. 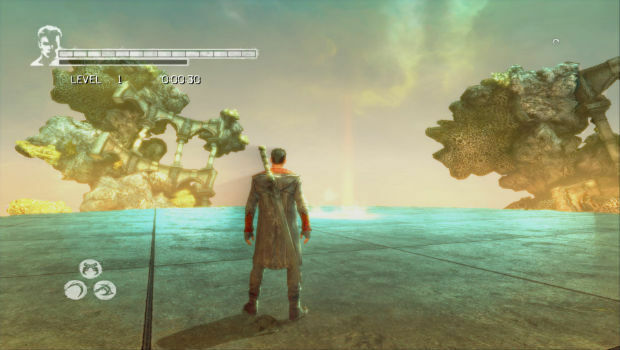 Additionally, the boss of the final floor is just the final boss of DmC -- nothing more, nothing less, which doesn't really make your completion feel that special. They missed out on a really cool opportunity to add a classic boss like Nelo Angelo, for instance, or make a new mark on the Bloody Palace, and make the package that much sweeter with a new skin or character unlock. The Bloody Palace update also comes with a few fixes and a patch of its own, most of which serve to make the game a bit more challenging. For one, the SS and SSS rankings now properly deteriorate, making the SSS rank harder (but really, not that much harder) to reach. 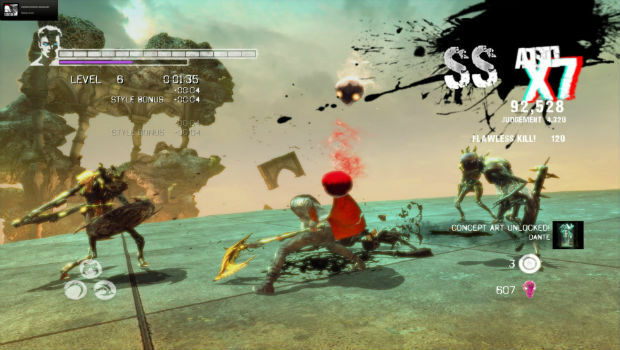 The infinite glide glitch was also fixed, as were general damage values for weak enemies, and damage rates on Nephilim and Son of Sparda modes. Although it's a bit hard to complain about free DLC, this really should have been part of the original package from the get-go, for Capcom and Ninja Theory's sake. At this point, many people have all but traded in their copies of DmC, or bought into some of the negative fallout from the game's release, and won't care about this add-on. Although this iteration of the Bloody Palace isn't a game changer by any means, it's still a nice free addition to the game, and helps augment the original release quite nicely. If you have the game, skip the skin packs and give this DLC a try. Conserve your Devil Trigger for when you need health, or when you tangle with a particularly tough enemy. Additionally, don't be afraid to use your Devil Trigger to heal when your meter is full, as you won't get any items while playing the Bloody Palace, and very few enemies drop health. Find out what enemies drop health (most of the flying ones), and use them strategically. If the game had a lock-on system, it would be easier to pick out non-flying enemies and save them for last, so just be aware that the game automatically favors flying targets and adjust accordingly. Be aggressive against bosses. You don't want to waste a lot of time on them, and waiting too long will slowly depreciate your health. 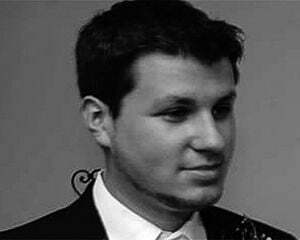 Whenever possible, buy and use Roulette -- while in the air, Y, Y, hesitate, Y, Y (Triangle). It's a cheap move that allows you to get some breathing room in the sky without getting swarmed on later levels. Use Aquila's B/Circle attack to stun enemies in the arena whenever possible, to avoid getting swarmed. In fact, just use Aquila a lot for groups or otherwise, as it's fairly overpowered. Same goes for a fully upgraded Kablooey.